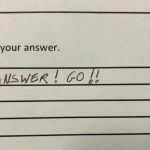 It doesn’t take much to find something amusing on internet! All you need to do is visit our page and choose a random list of images! The one you are about to see now consists of random photos that were compiled with the sole intention of bringing some fun your way! Enjoy them and let them improve your mood! We love it when people find another purpose for different items and objects. This way nothing goes to waste and sometimes a lot of money is saved instead of thrown into unnecessary renovation. 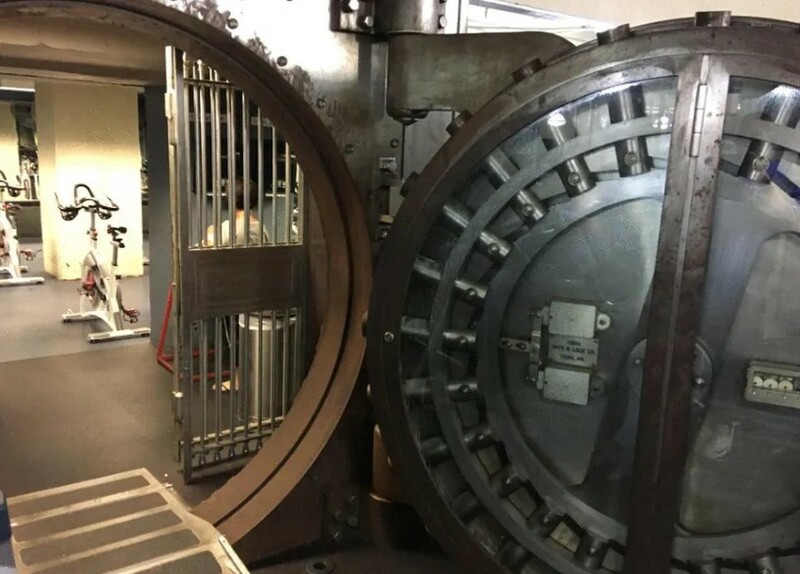 This is exactly what someone did with an old bank. 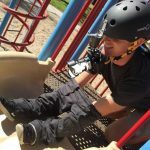 Instead of completely rebuilding the place, they decided to leave it as it was and simply turned it into a gym by putting all the necessary gear inside! 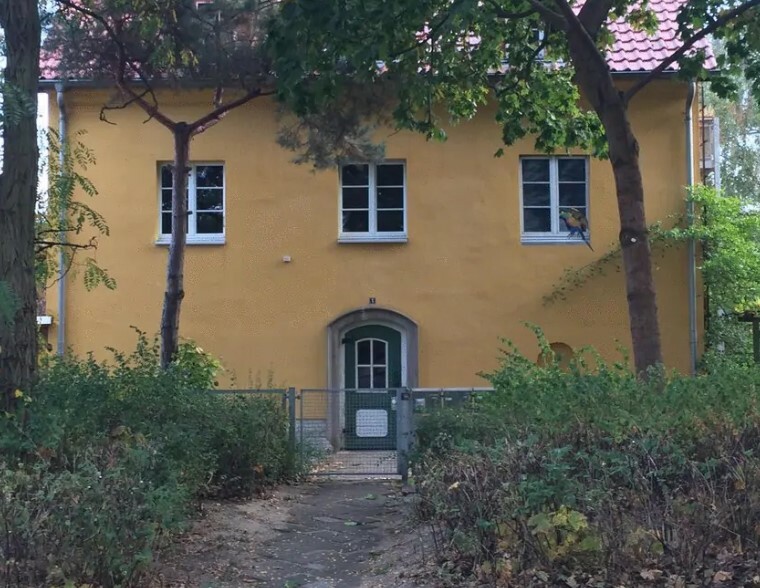 When you take on quick look at this house, it seems that everything I perfectly normal about it, right? Well, it is not like that at all. The house features one detail that we have never seen before! We don’t know why someone decided to actually do it. The most probable reason is to achieve some symmetry. If haven’t found it yet, here is the answer – the right window is not real. Some actually painted it on the wall. 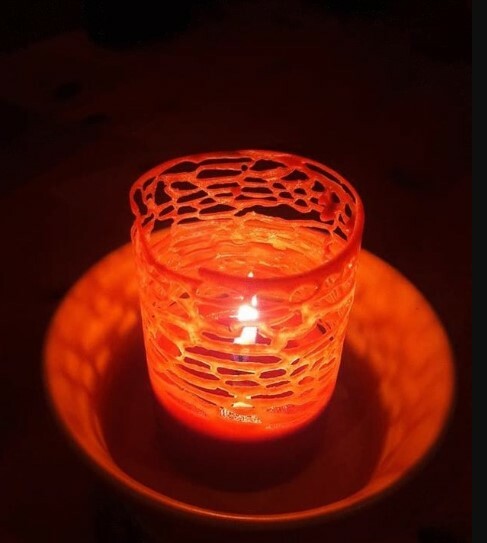 We have seen all types of candles before and some of them are really amazing. The colors, the shapes and the scents they have come in all kinds of combinations and we can never get enough of them. Candles bring a special kind of atmosphere to every home! The one you see here melted down in a mesmerizing way and we cannot believe how cool it looks! We want one! You need to really be careful where you park your vehicle. This is especially important if you leave it outside all day and night. Doing so may cause all kinds of damage and problems that you will have to deal with. Sometimes the damage is done in a really unexpected way! As you can see, the engine bay of this vehicle was literally stuffed with walnuts! 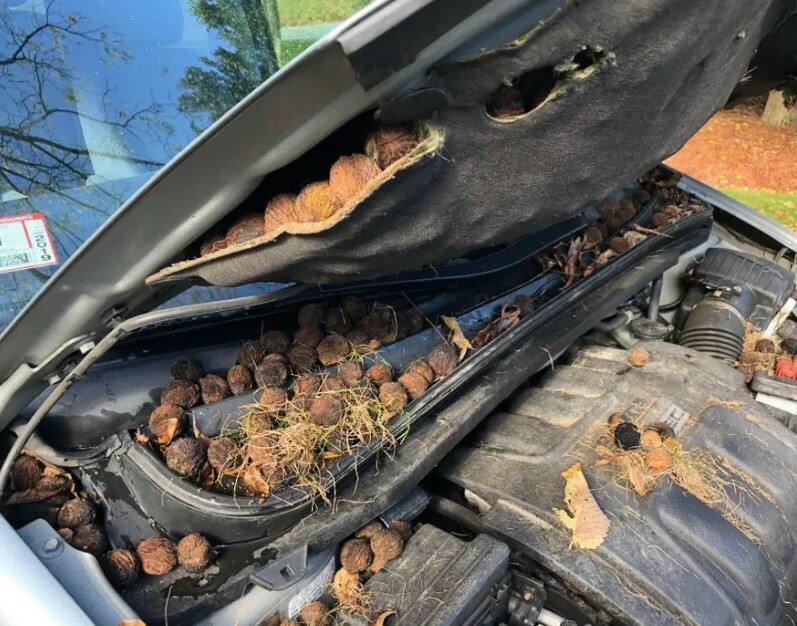 It was done by a squirrel that probably thought the vehicle would serve as a night storage place. There are a lot of ways that skaters damage public property. The graffiti they constantly create are one thing, but the main problem is that they use different places around town as skate parks! This means that they damage curbs, stairways and whatever you can imagine. 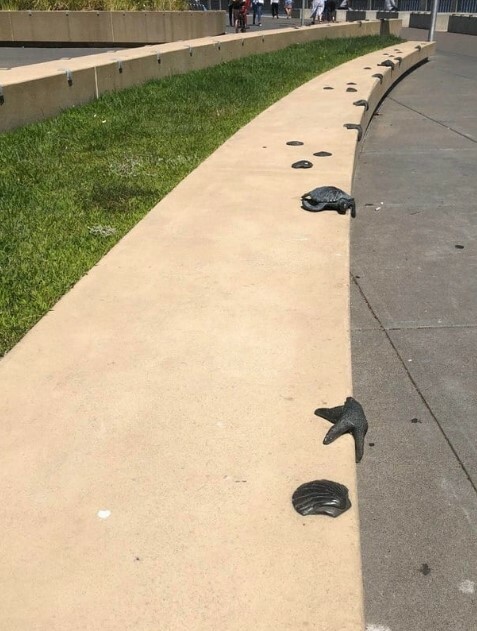 This is why someone came up with this genius way to protect public areas from skaters. It looks really cool and the creative approach turns it into an attraction. It seems that animals can adapt to life in the big city quite well! A lot of different cities around the world are situated close to nature which means that wildlife encounters are inevitable. This means that people are more or less used to seeing wild animals roam the streets. However, seeing them actually follow the traffic rules is something really curious and it shows how animals can adapt to our ways of living. The curious photo you see above is really puzzling because it is hard to explain at first! 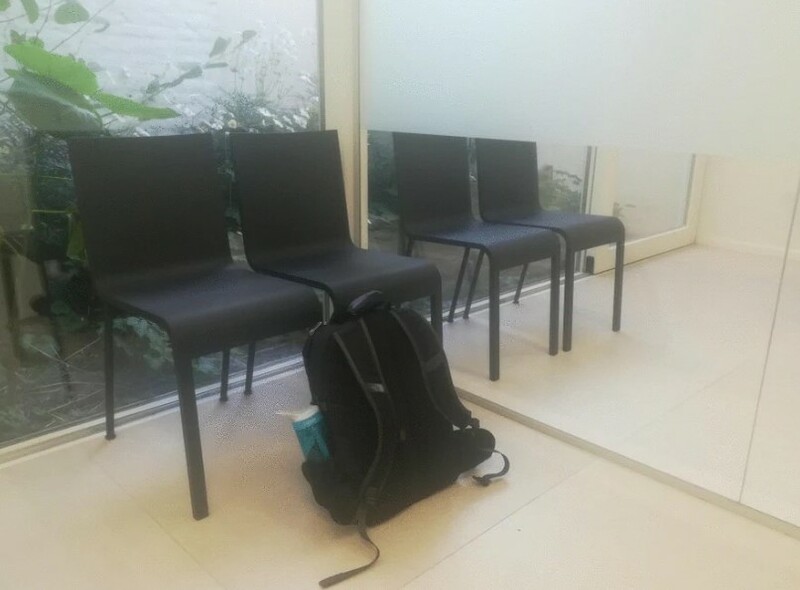 You can clearly see the huge backpack but it has no reflection in the mirror behind it! This is typical only for ghosts and vampires, but we have never seen it work for an inanimate object before! However, the explanation for this is quite easy. The surface behind it is not a mirror, but a glass pane! There is an identical room behind it. Have you ever asked yourself how trains are maintained? It would require a lot more work than maintaining a car. It sure does! As you can see, they have a giant train car wash! 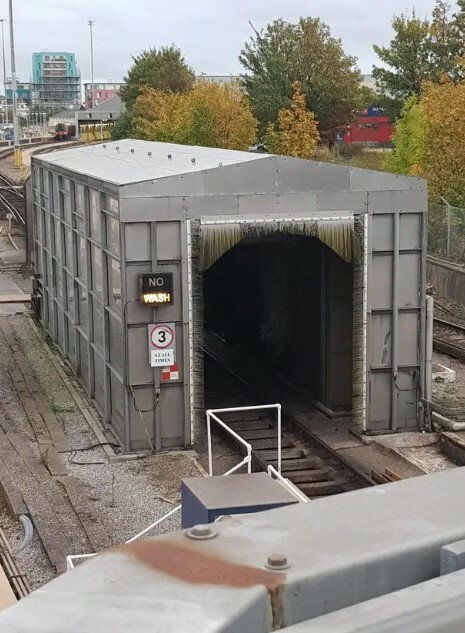 We have never seen such a thing before and this explains how trains are kept clean. We guess that this device is kept really busy as trains put a lot of miles daily and they definitely get dirty, especially during the winter season. A lot gardening hacks can be found after a quick browse through internet. However, most of them are more or less simple or they don’t work as they should. Of course, there are some ideas than can literally make you step up your gardening game! As you can see, this is one of those ideas! 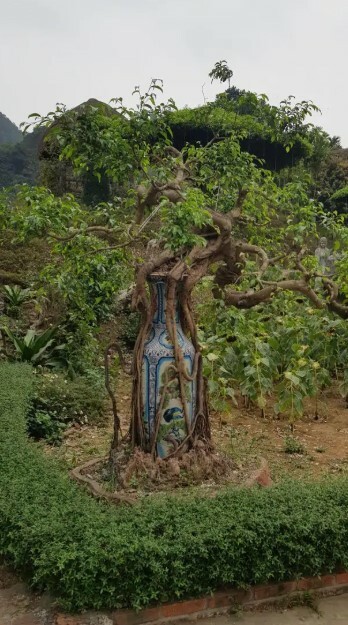 Someone planted this tree to grow around a large vase. The end result is simply stunning! We would definitely try this someday! Most people take their time to care for the front lawn, because it is an important feature and probably the biggest part of any yard. However, waking up to this might be a real shock to some people! Those with arachnophobia would probably freak out, but there is no need for panic! 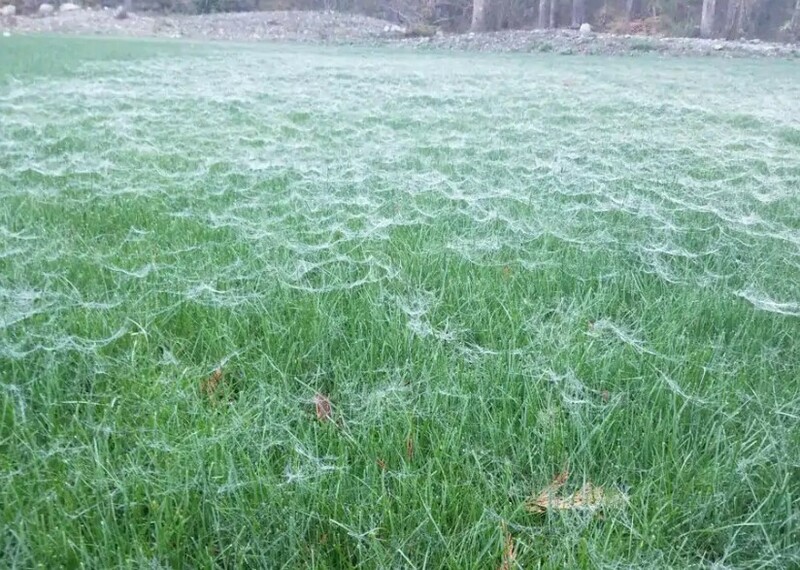 It looks like the lawn is covered in spider webs, but it is not. This is actually caused by a fungus called ‘dollar spot’. It is still very weird and it is not something you see every day. Well, we cannot say we are surprised by this! Of course, not everyone is willing to keep a pigeon as a pet. Most people raise them in cages outside, but this lucky bird gets a treatment worthy of a parrot. 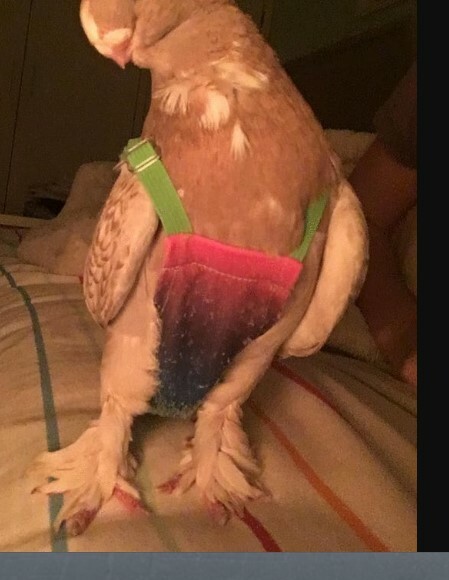 However, pigeons are known for making a huge mess everywhere, which led to this DIY diaper! We guess that its owner was fed up with cleaning poo all the time and came up with this easy solution. Sometimes optical illusions are purely accidental which makes them even better! As you can see, this photo shows one that is really curious! The ladder seems to be perfectly straight but the shadow suggests something else! 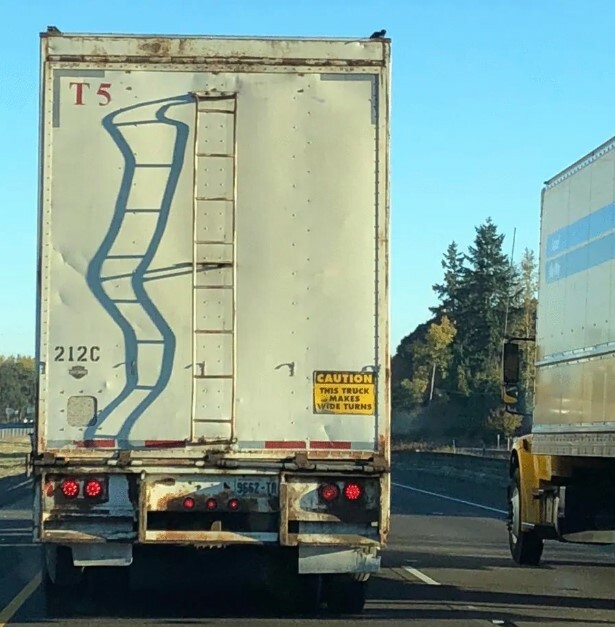 We guess that the ladder and the door are both beaten pretty badly and the shadow simply follows the curves. This is a common thing to see on trucks because they are used on a daily basis and forklifts used to unload them often end up mangling the doors of the trailer. People often say that romantic dates slowly became a thing of the past and whenever you see one, you should be impressed. 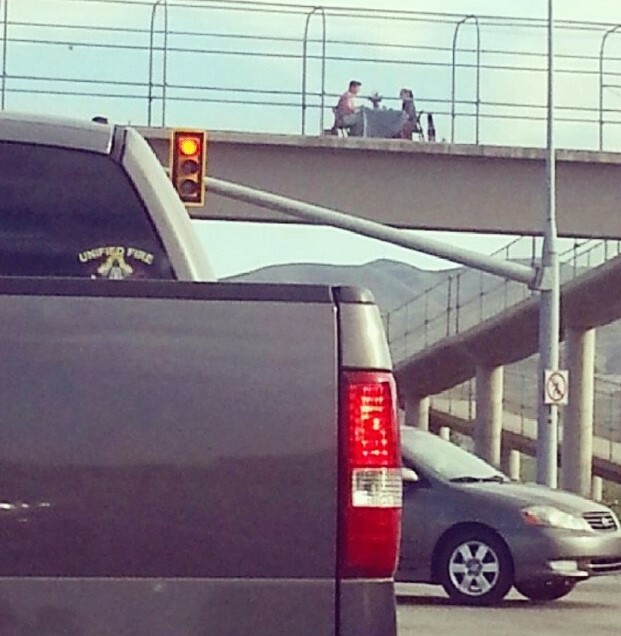 When we saw this photo, we were more than impressed! The reason why this couple chose this particular location for their date is unknown, but we guess that it makes the whole setup even more special! The look like they are not paying attention to the surroundings and simply enjoy their special moment! Sometimes true friendship can be described in the most unusual way! This photo suggests one way to explain it and we guess that it would make a great meme! As you can see, one of these trashcans looks as if it leaned and held the other one immediately before it fell to ground! This is the definition of the situation when one friend has the other one’s back! This was probably accidental which makes it even better! 3D printing is one really amazing technology! The problem is that it is still being developed, which means that there is a lot of trial and error going on. This is not such a big problem, but it certainly leads to curious results. 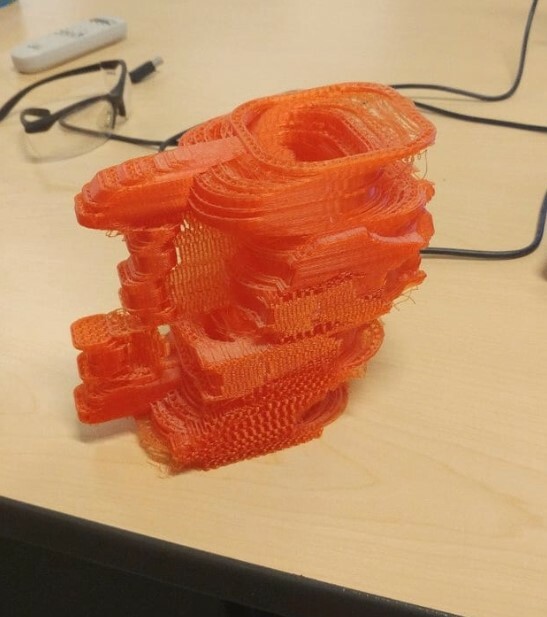 As you can see, someone tried to create a specific product using a 3D printer, but the end result is a disaster! Did you guess what it was supposed to be? If you look closely, you will see it. The object was supposed to be a mug! Yes, it does not look much like it, but we are sure they eventually got it just right! 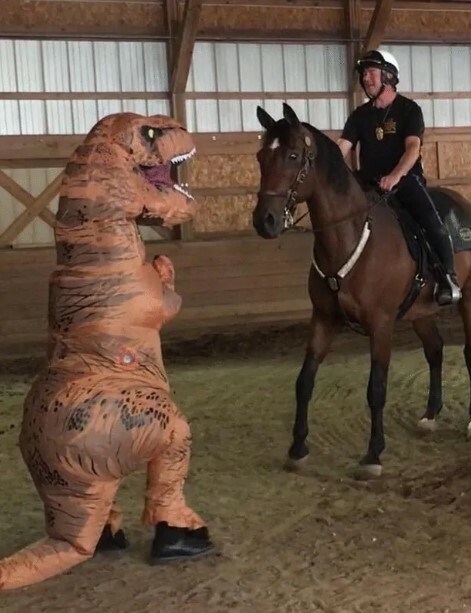 It looks strange, but this really is part of a police horse’s training! As you can see, the animal appears to be a bit frightened and unsure how to react. 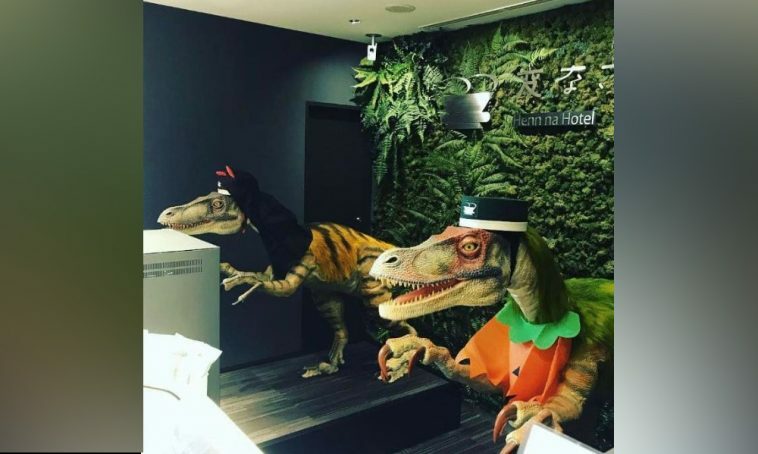 This is normal because even a person would be frightened to meet someone dressed a T-Rex! We guess that such training techniques help horses to respond better to potential threats and situations on the street that might actually scare them! It is a nice idea to do whatever it takes to avoid such situations! If the horse is calm during a long shift, then everything would be okay.